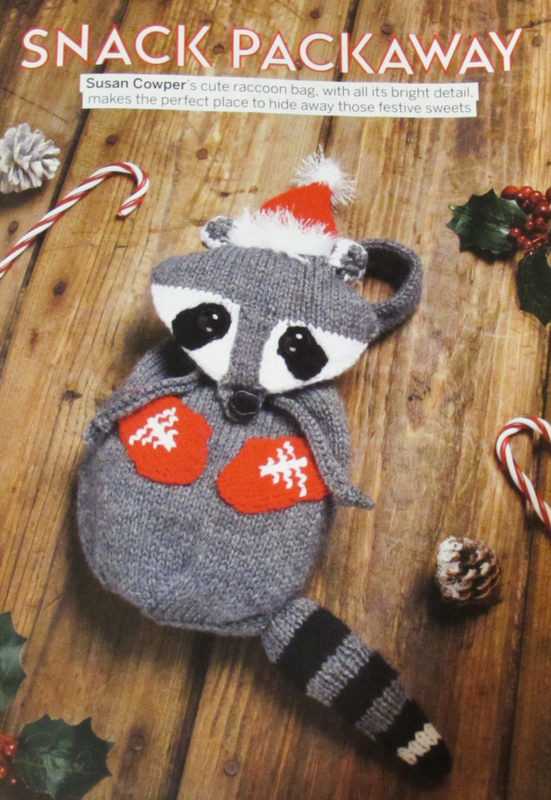 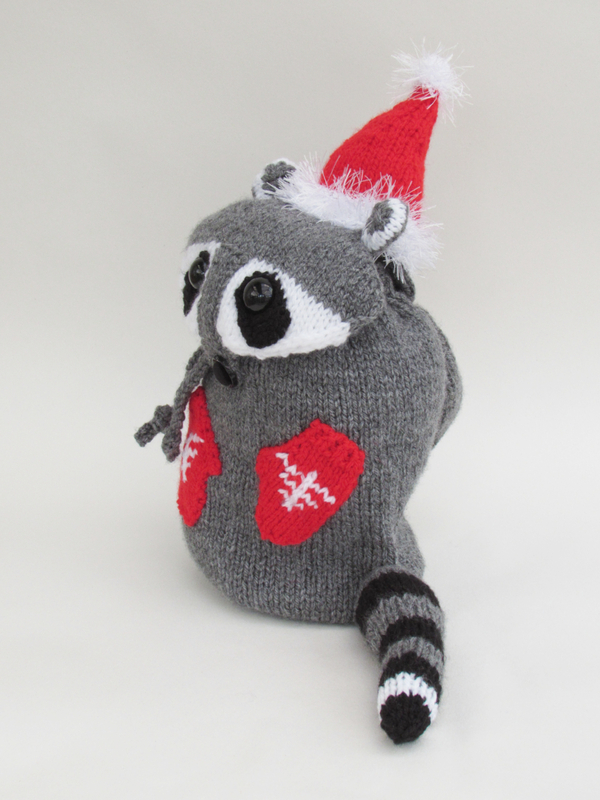 The Christmas Racoon Bag was designed for the Simply Knitting Magazine issue 180 which went on sale on the 22nd of November 2018. 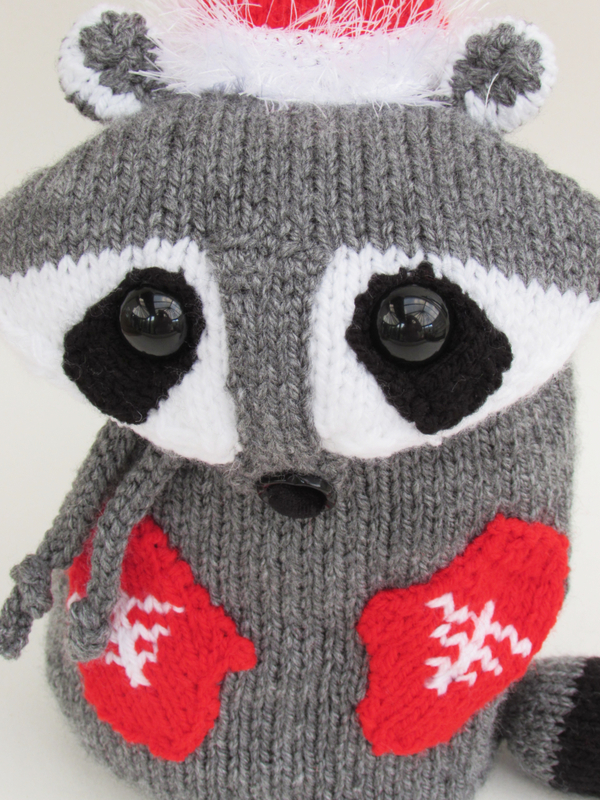 I love racoons they are so cute and cheeky. 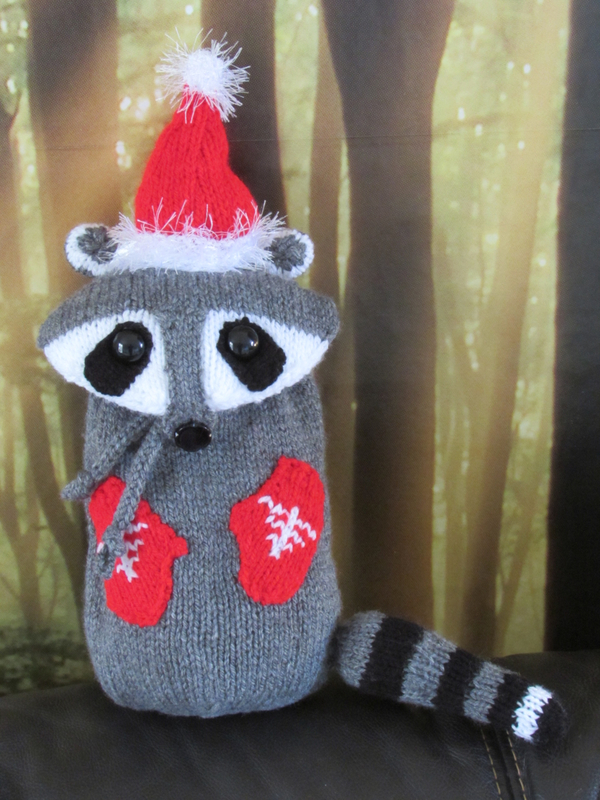 I especially love their eye patches that make them look like ravallion bandits. 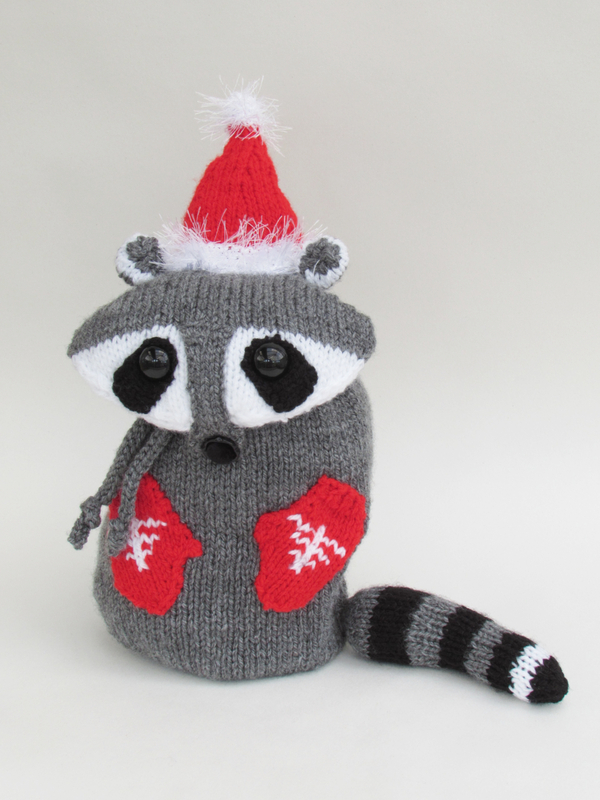 I needed to make my racoon bandit christmassy so I added a Santa hat. 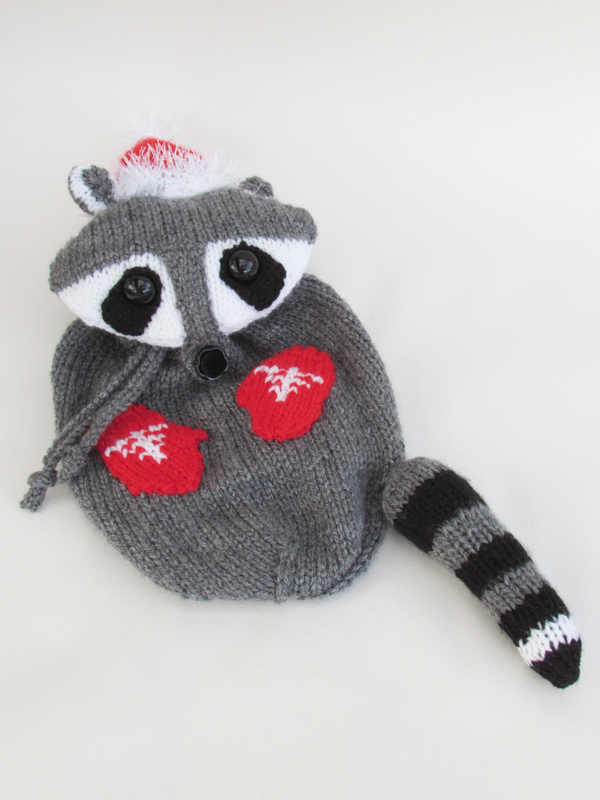 And with racoons coming from Canada were its really cold and snowy, I thought he'd probably appreciate a pair of winter mittens. 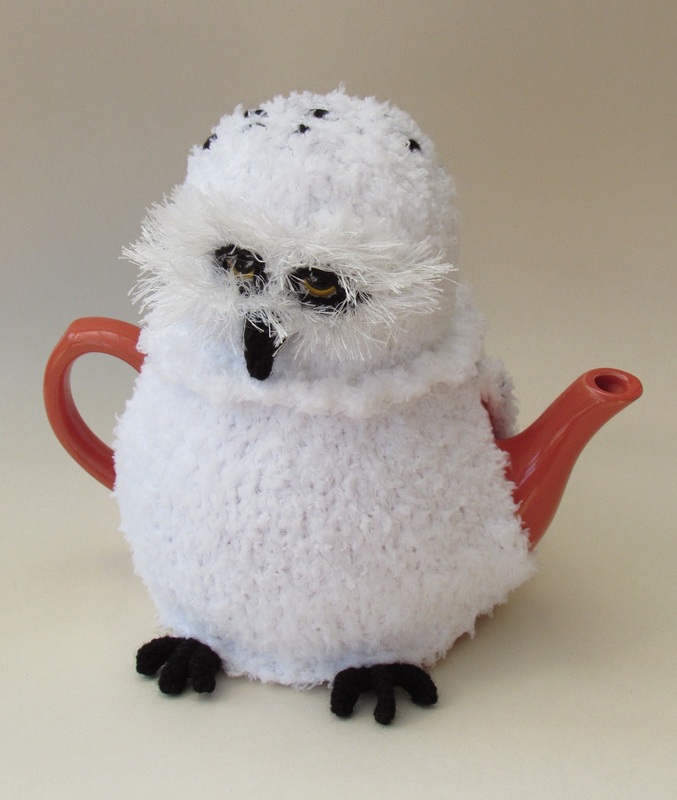 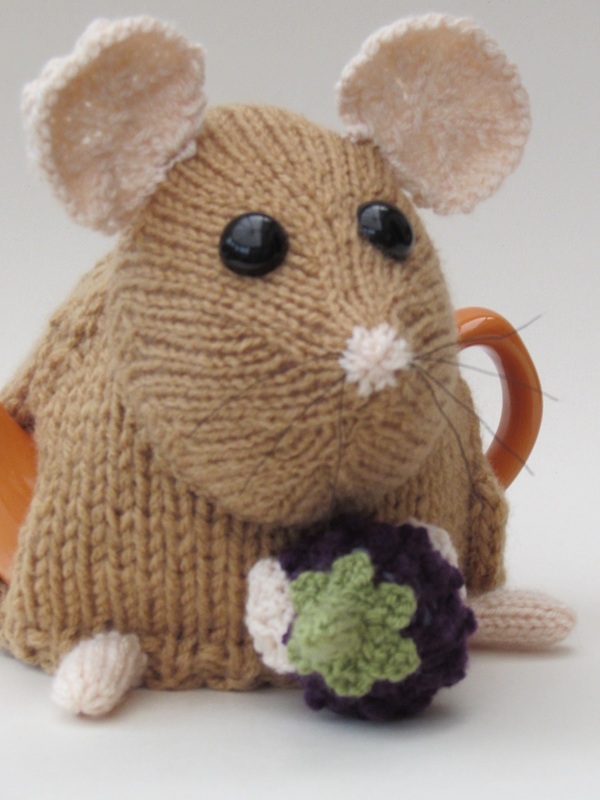 I think he looks adorable and he's be perfect for storing things in and children will love him. 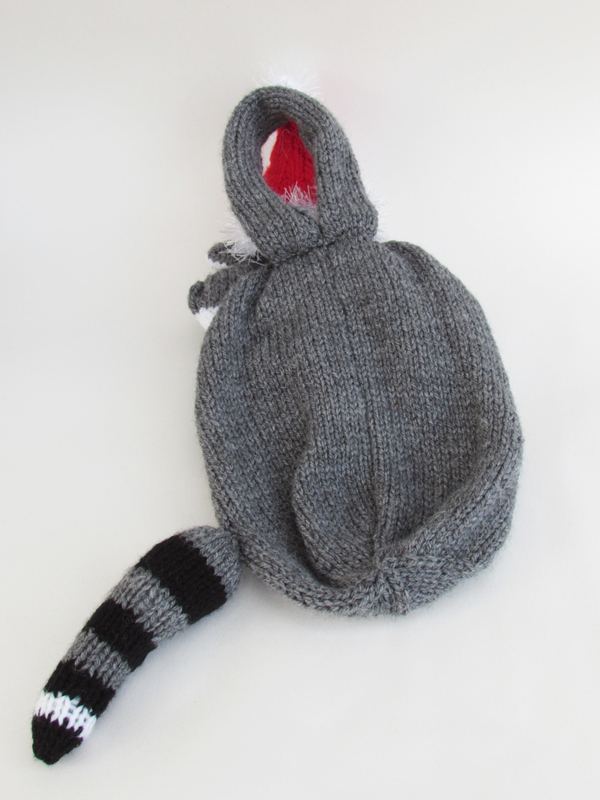 The bag closes with a drawstring, and the head is the lid to the bag that flips over the drawstring and buttons closed at the nose. 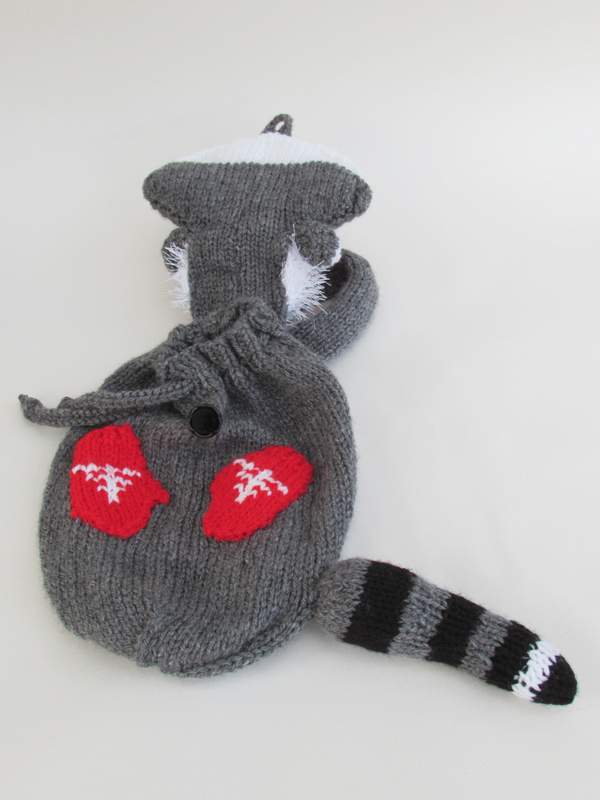 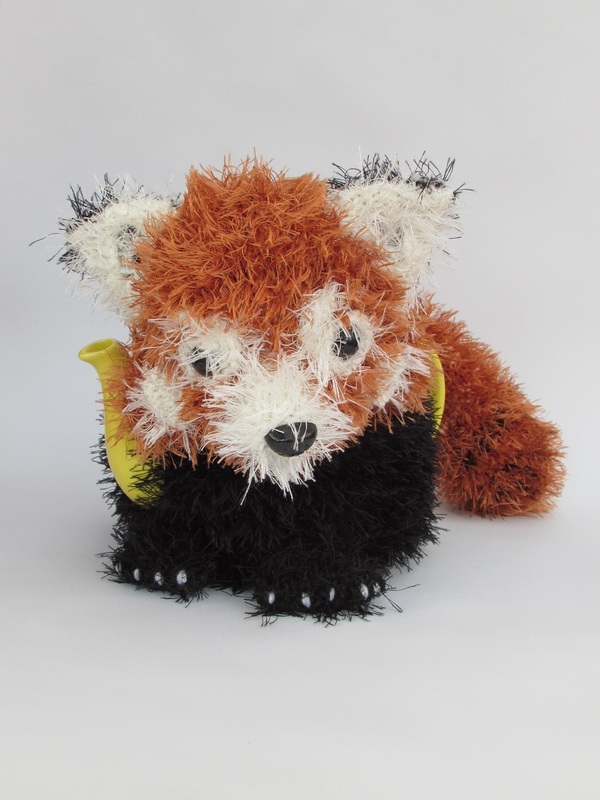 The racoon bag is 34cm long and 15cm wide. 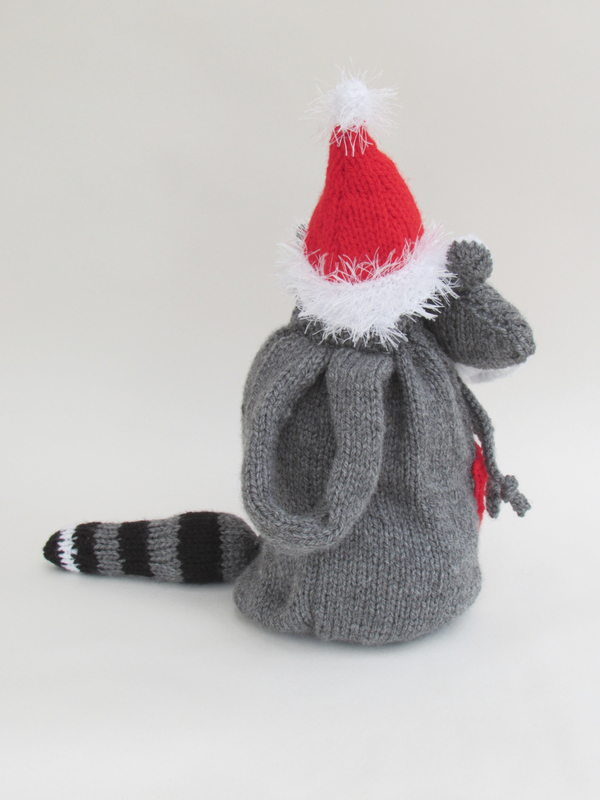 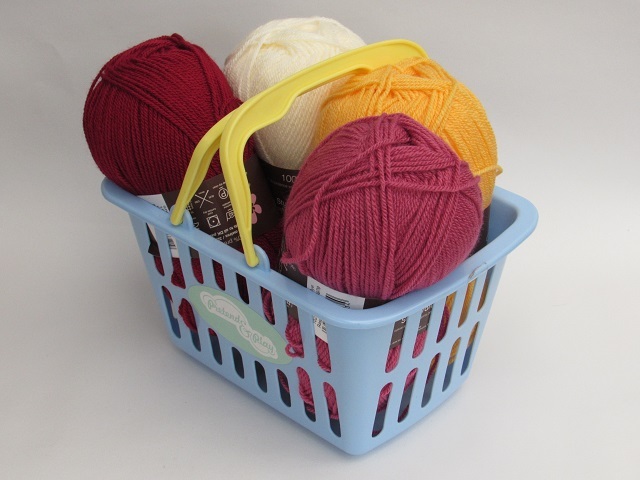 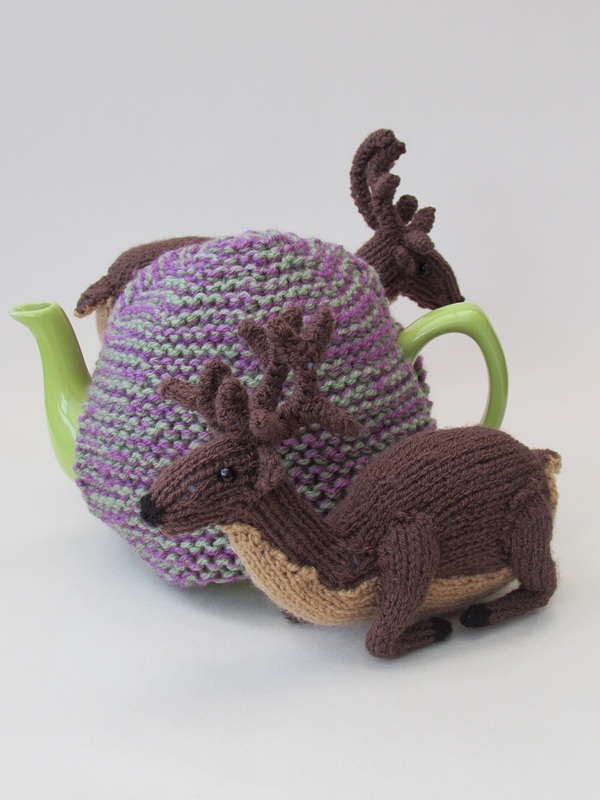 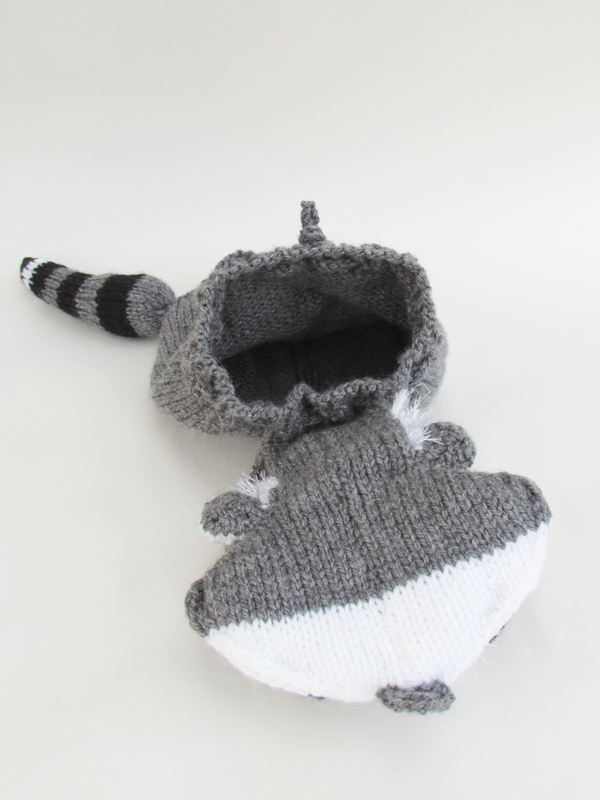 The Christmas Racoon Bag knitting pattern will be available to buy from the TeaCosyFolk website from the 22nd June 2019, in the meanwhile you can buy past copies of Simply Knitting if you missed the pattern when it was first published. 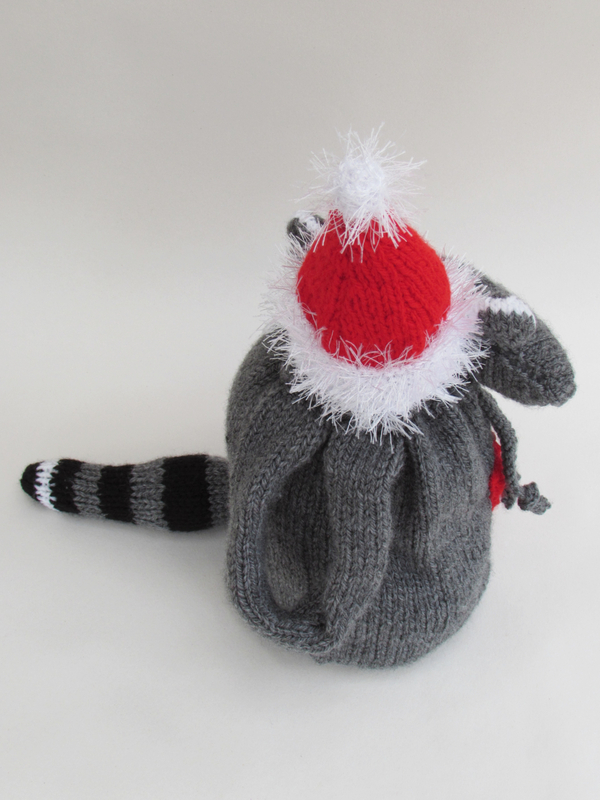 This little Christmas critter is so cute and Christmassy in his Santa hat and Christmas tree mittens.